These exams are used by the Seminary to show you have a basic understanding of each content area and are well prepared to continue your studies at the graduate level. We also have a list of essential study materials to prepare you for the exams. 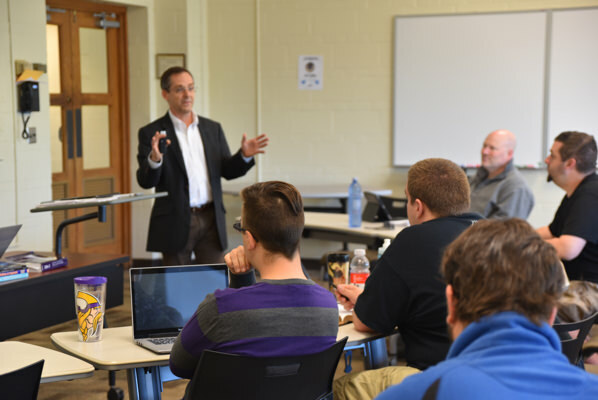 Depending on the program, there are up to five exams required as part of the Entry Level Competency Exams (ELCE): Old Testament, New Testament and Christian Doctrine. For those who have taken one year of either biblical language, there are also Hebrew and Greek ELCE. You will receive a username and password within two business days after we receive your registration. See the Academic Resources for a list of essential study materials. Click here to open the sample test and ensure your computer is configured properly. See the Technical Requirements and Instructions for a detailed walk-through. You will be given 75 minutes to complete each exam. The system automatically provides you your score and forwards it to Ministerial Recruitment and Admissions. This report will be generated by our staff and will be sent to you within two business days. A PDF containing this information will be available soon. You will NOT be able to reference this website during your exams. Questionmark Secure is a lock-down browser that you install on your computer in order to take your Entry Level Competency Exams (ELCE). It is designed to provide a secure environment that protects the integrity of the test taker and the exam itself. The display is always in full screen – it will not be possible to maximize or minimize your exam. If you have a dual monitor configuration on your computer the secondary display will be blacked out. There will be no menu bars available at any time throughout the exam. No aspects or features of your Windows or Apple Operating System are available to you throughout the exam. No history of your exam will be logged on your computer. Questionmark Secure does NOT allow you to take ELCE exams from any Virtual Machine (VM). Microsoft Windows XP, Vista, 7, 8 or Mac OS X 10.6 (Snow Leopard) or later are supported platforms for the installation of Questionmark. Microsoft Internet Explorer 7+, Safari, Firefox and Chrome are suggested browsers. C. Install Questionmark Secure (Microsoft Windows). Install the program from your computer’s download location. Once the installation has completed you will be prompted to click Finish. 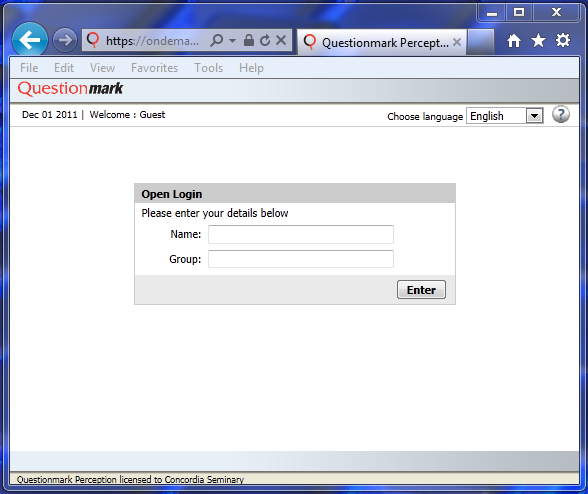 Questionmark is now installed and you are now ready to take your Sample Test in Step 2, below. Questionmark will open automatically whenever you click to begin one of your ELCEs. D. Install Questionmark Secure (Apple-Macintosh). Questionmark for Mac through the Apple Mac App Store. **NOTE** Users should not take the ELCE using OS X El Capitan. There are known issues with this OS and Questionmark is working on a solution. Taking the ELCE using this OS will result in the test being lost. Please use a computer not running this Operating System to take the ELCE. You are now ready to take your Sample Test in Step 2 below. Questionmark will open automatically whenever you click to begin one of your ELCEs. Before taking the Sample Test, close all other programs running on your computer. Questionmark will not allow access into the test with other programs running. Click on “Sample ELCE Test” (below) or copy and paste the following URL: https://ondemand.questionmark.com/398734/open into your browser’s address bar and click ENTER to continue. When you receive the following login page, enter your name in the “Name” field and leave the “Group” field blank. Click Enter to continue. Click the green arrow under “Start” (shown below) to enter the “Sample ELCE Test” area. Select the “Click here to launch your assessment” link (shown below) under “Already have Questionmark Secure?” to launch the test and begin the ELCE exam experience. This will download the “launch.qmsb” file. Click on this file from your Downloads location to start Questionmark and begin your sample ELCE test. Note: Windows users will receive the following message (shown below). Click OK to continue. NOTE: Questionmark may prompt you with a message informing you of the programs that need to be closed (such as Outlook). You will not be able to continue until those programs are closed. While taking the “Sample ELCE Test,” use the “Previous Question,” “Next Question,” “Assessment Navigator” and “Submit” buttons at the bottom of the screen to navigate through the test. The “Assessment Navigator” provides visual feedback regarding your numeric position within the exam block as well as the status of questions answered or skipped. 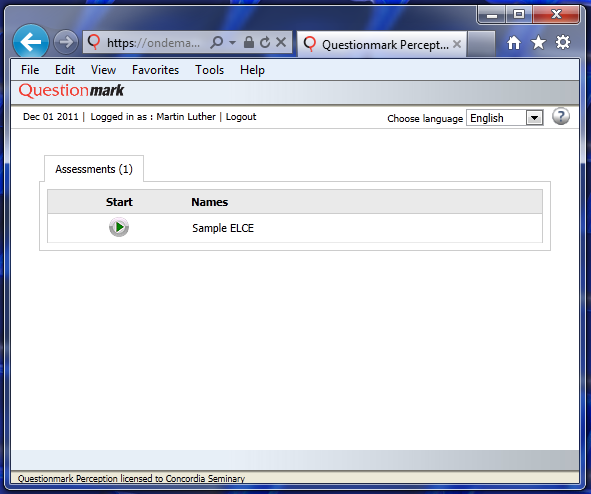 After you complete the “Sample ELCE Test” (10 questions), close the window to exit Questionmark and return your desktop to normal functionality. Mac users may just close the window to exit Questionmark. Windows users will see a toolbar (shown below) at the top left of the window. Click on the red “X” to close Questionmark. You will need to enter your username and password in order to access each exam. When you complete each exam, you will immediately see your score and receive an email with your test results. Within two business days, you will receive a “Coaching Report” to show how you did on each segment of that exam. This is not a question-by-question analysis but general feedback. 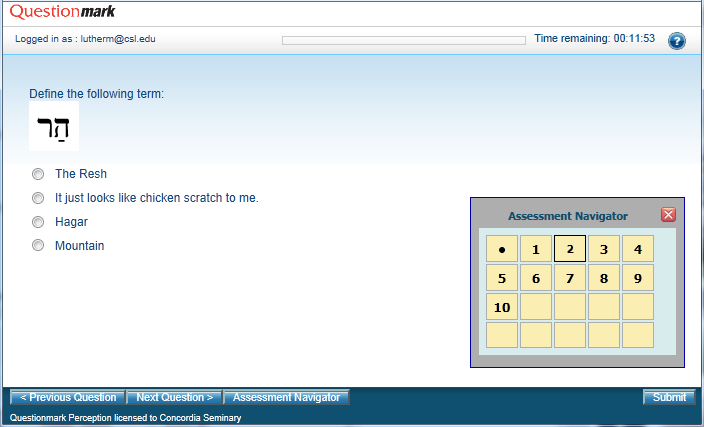 Your attempts and scores will be recorded and reported automatically to Concordia Seminary, St. Louis. Please remain in contact with your admissions officer as you work through your ELCEs because the number of retake attempts, duration and deadlines are enforced automatically. Click the “My ELCEs” link below or the “My ELCEs” image in the sidebar to login and take the ELCE associated with the program to which you have applied. Click on the “My ELCEs” link (below). or copy and paste the following URL: https://ondemand.questionmark.com/home/398734/ in your browser’s address bar and click ENTER to continue. When you receive the login page (shown below), enter your “Username” and “Password” in the appropriate fields and click ENTER to continue. The next screen will present you with the list of exam requirements specific to the program to which you have applied. DO NOT START AN EXAM UNTIL YOU ARE READY TO COMPLETE IT. Once you click “Start,” an “Attempt” will be logged. If you try to leave the exam environment prematurely, an attempt will be logged and you will NOT be able to resume the exam. When the exam is complete, close the Questionmark window to return your desktop to normal functionality. Mac users may just close the window to exit Questionmark. Windows users will see a toolbar (shown below) at the top left of the window. Click on the red “X” to close the Questionmark. Students from a Concordia University System college or university or Valparaiso University should contact Ministerial Recruitment and Admissions regarding possible exemption from one or more of the exams. 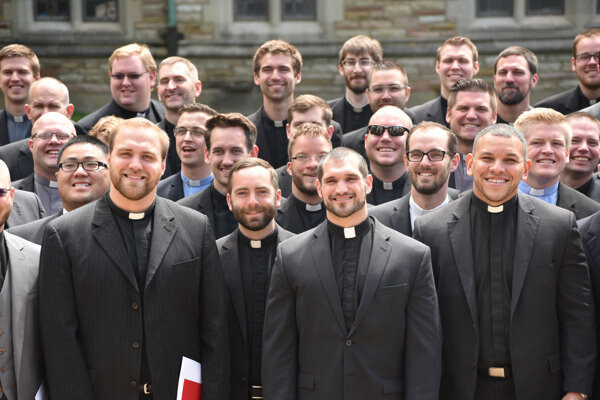 Master of Divinity (M.Div.) – Students must take Old Testament, New Testament and Christian Doctrine. Each applicant must receive a score of at least 70 percent to pass. Students who have taken a minimum of one year of college level biblical Hebrew and/or Greek may also take the corresponding exams. Residential Alternate Route (RAR) – Students must meet the same requirement as the M.Div. and pass each exam with a score of 70 percent or higher, but do not take the Hebrew exam. Deaconess – Students must take the Old Testament, New Testament and Christian Doctrine exams and pass each with a score of 80 percent or higher. Specific Ministry Pastor (SMP) – Students must take the Old Testament, New Testament and Christian Doctrine exams and pass each with a score of 70 percent or higher. Master of Arts (M.A.) – Students must take the Old Testament, New Testament and Christian Doctrine exams and must pass each with a score of 80 percent or higher. You may take each exam no more than three times (two times for Master of Arts). You must wait a minimum of three days after taking an exam before you can take it again. During this time, you are welcome to take exams for other content areas. The primary study resources for passing the Entry Level Competency Exams are the Holy Bible and Luther’s Small Catechism. To assist you in your study, the following series of books are ESSENTIAL reading. Each book contains the information you will need to know on the exam. Each chapter includes review material that will help you check your comprehension. where you may buy these books. This book is ideal for Christian adults who seek to expand their knowledge of the background, content and message of the Old Testament and its importance for Christian faith and life. It not only introduces important background information on each book of the Old Testament along with a general discussion of its contents and theology, but it also contains analyses of major passages within the Old Testament. Key terms, study questions, a glossary, a gazetteer of Old Testament people and places, maps, tables, charts and sidebars make this book a useful and handy reference as well as a textbook. This book is your guide to passing the Old Testament qualifier. Christians who seek to deepen their grasp of the New Testament will find within its pages helpful and challenging insights. 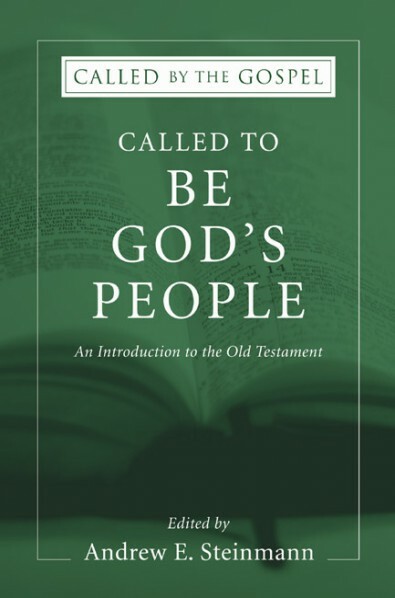 This book builds on material presented in the first volume of the series, Called to be God’s People, and supplements its contents with maps, photos, suggested readings, discussion questions and a glossary. 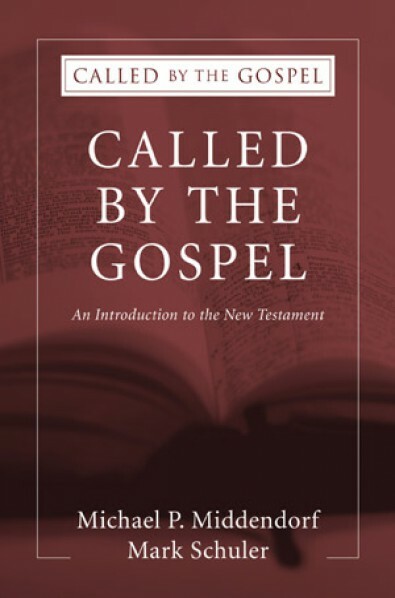 This book is your guide to passing the New Testament qualifier. 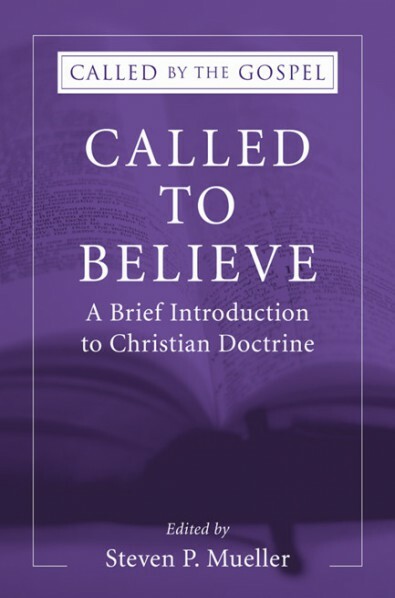 This book is ideal as an introductory text for university or advanced high school students and for other Christian adults who seek to expand their knowledge of God’s revelation and its application in human lives. It introduces and uses classic theological vocabulary and terminology, while offering clear definitions and application. Key terms, study questions and a glossary help make this a valuable resource. Suggested readings from Scripture, and secondary sources guide the reader into deeper study. This book is ideal as a text for university students and other educated Christian adults who seek to expand their knowledge of God’s revelation and its application in human lives. It introduces and uses classical theological vocabulary and terminology, while offering clear definitions and application. Key terms, study questions, glossary and sidebars help make this a valuable resource. 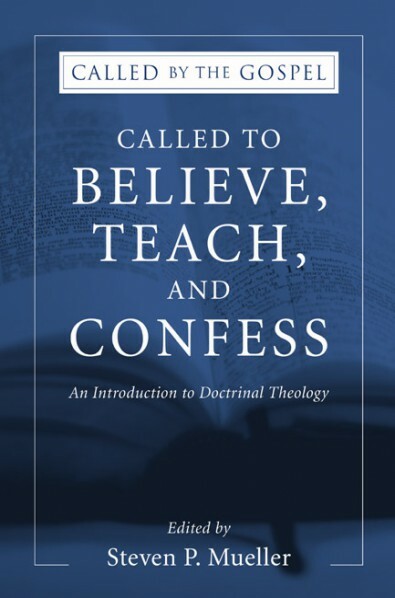 Suggested readings from Scripture, the Lutheran Confessions and other secondary sources guide the reader into deeper study. Together these two books will prepare you to take the Doctrine qualifier. 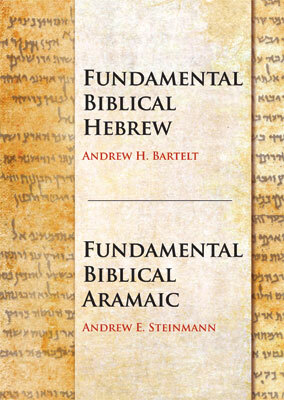 This new volume contains both fundamental biblical Hebrew and Aramaic. The fundamental biblical Hebrew section is organized in a manner that facilitates learning and serves as an easy-to-use reference tool, including vocabulary, morphology and syntax. While it serves as a basic Hebrew textbook and grammar for the purpose of theological study, it is useful for college, university and seminary courses, as well as a desk reference for pastors engaged in the study of the Bible in its original language. 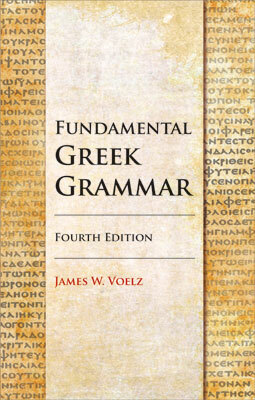 Fundamental Greek Grammar: 4th Edition provides the basis for solid instruction in New Testament Greek vocabulary, morphology and syntax. It takes a fundamental approach, moving from the known to the unknown, from the easy to the more difficult. Dr. Voelz understands that learning a complex language is difficult, and he seeks to explain things in detail every step of the way. This book includes vocabulary, paradigms, principal parts, exercises with answer key, pertinent Bible passages and more. The updated edition features “English Review for Greek,” a refresher of English grammar basics. Download “English Review for Greek” for use with biblical Greek. SMP applicants must contact Ministerial Recruitment and Admissions for program-specific deadlines at 800-822-9545 or admissions@csl.edu. Applicants for all other programs can use the deadlines listed below. You may begin taking these exams March 1, the year before intended enrollment. If you do not pass one or more of these three exams by the deadline, you will be automatically pre-registered for the corresponding summer course(s). Please note that you will not be allowed to take a summer language course if you have not successfully passed these exams prior to the April 30 deadline. You may begin taking these exams June 1, the year before intended enrollment.